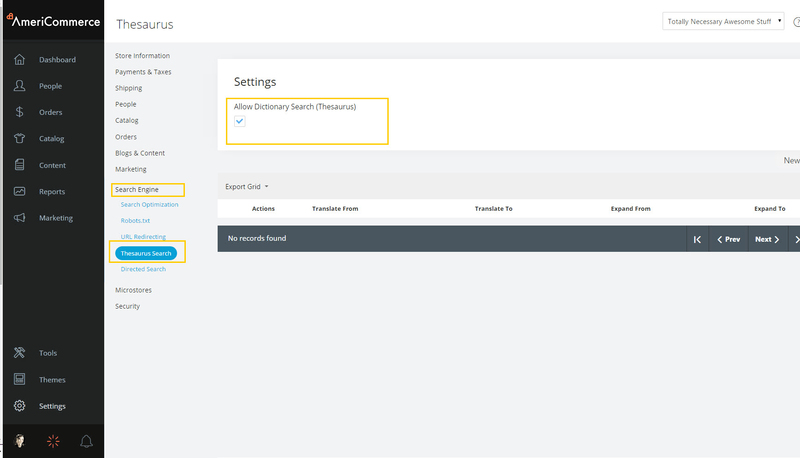 The Thesaurus search customization is helpful for your customers. It allows for misspellings in your store's search area without disrupting a search attempt. So if a customer is searching for cameras, but they type cameraas, the search will recognize and replace the misspelled word, allowing the search to continue uninterrupted. Before you set up the Thesaurus search, you will need to allow it on your store. Go to Settings > Search Engine > Thesaurus Search. Scroll down to "Allow Dictionary Search (Thesaurus):" and make sure it is checked. In your store's admin console go to Settings > Search Engine > Thesaurus Search. If no groups are created click "New Thesaurus Term" on the right side of the screen. 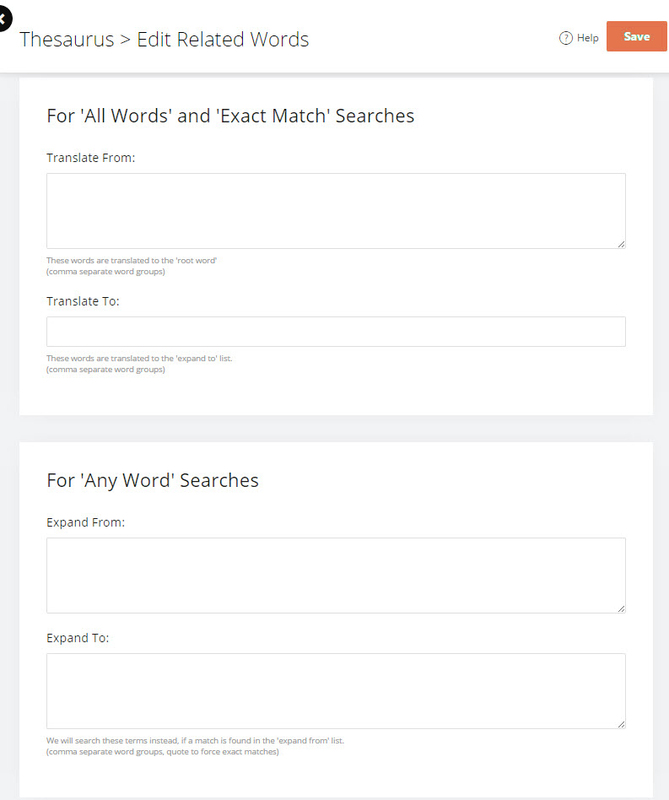 On match "Any Word" searches, words in the Expand From list will be expanded to all terms in the Expand To list. Use a comma to separate multiple terms in the Translate From, Expand To and Expand From lists.